For years now, the world at large has taken dieting to mean taking only certain healthy foods and avoiding a bulk of other foods. To stay healthy and lose weight meant that you had to strive to stay in deficit in regards to foods that are deemed unhealthy, otherwise you would gain weight. This theory has however been put to the test recently with the introduction of the flexible dieting or “if it fits your macros” (IIFYM) dietary approach. This form of dieting that is the total opposite of traditional healthy-food based dieting has taken the fitness world by storm! If traditional dieting techniques have not worked for you, either by not helping you to lose weight or by leaving you thoroughly unhappy, then flexible dieting might just be the solution you have been searching for. But what exactly is flexible dieting or IIFYM? This new approach to dieting, weight loss and fitness focuses not on just healthy feeding, but on monitoring macronutrient intake for each individual. With this form of dieting therefore, you don’t need to restrict yourself and jeopardise your lifestyle to achieve your weight loss goals. Whatever you love eating is allowed, but all with moderation. Simply put, you can literally have all your favourites, cake, fries, pizza, you name it! This has however proven to be one of the most controversial concepts when it comes to IIFYM. Looking a little deeper into how IIFYM works, the ‘M” represents macro which refers to macronutrients. The three major macro nutrients are carbohydrates, protein and fat. Instead of making you avoid certain macronutrients for example carbohydrates, and making you count your calories day in day out, flexible dieting is focused on ensuring you meet your daily macro goals. If done right, this can ensure you have a consistent calorie intake. So how to you go about implementing flexible dieting? This technique requires you to have a specific limit for each of the three macronutrients. Therefore, during a day, all you have to do is ensure that you do not surpass the limit for that particular macronutrient during that day. This means that you can choose to fill up on carbs for your lunch by having fries for example but if the meal takes up your whole carbs total for the day, that is all the carbs you can have and the rest of your meals can only contain proteins and what remains of your fat intake. So what this brings up is one of the most controversial issues associated with flexible dieting. There is no one way to get to your days totals and therefore, this can be achieved through both healthy and what can be termed as unhealthy feeding. This part is every fitness expert’s and weight loss specialist’s nightmare. This is because implementation of flexible dieting simply boils down to personal choice. It is obviously better and advisable to stick to the healthier options as it offers much better nutritional value, therefore more bang for your buck. Think of it like this, imagine you have £100 to spend on food in a single day, you have the option of splurging all the money on one lavish meal at a fancy restaurant then staying hungry for the rest of the day. The better and smarter option would be to split the money evenly to cater for the three meals you will need to keep you energised all through your day. Therefore in conclusion, that is how IIFYM ought to be applied. Simply plan your meals as you would wish, at any time of the day. This means that flexible dieting is all about personal preference. If you are a late-night eater, you just plan your meal timings and set your macronutrient target to fit that! This makes this form of dieting highly convenient as it fits your lifestyle as opposed to having you adjusting your habits. You however have to always ensure that you stay within your macro limits. Using basic information, you can calculate your daily calorie needs. Give an allowance of 300-700 calories added or subtracted depending on whether you want to add or reduce your weight. When it comes to splitting between the three macros, the percentages will depend on if the reason for dieting: weight-loss, performance-based or typical bodybuilding. Maintenance of Lifestyle. Observing all of the three macronutrients from selection of quality sources to measurement of the specific amounts for each macronutrient, helps you to perfectly tailor your tastes and all without affecting your lifestyle. This is because you no longer have to avoid some foods, eliminating a huge chuck of dietary restrictions! Balanced Meals. One of the greatest pitfalls of traditional calorie-based dieting was the restrictions from certain foods/ macronutrients particularly Carbs! This technique taught that carbs are the causes all weight gain issues. Although this can be a fact, it is only true in cases of excessive consumption. Flexible dieting comes in to counter exactly that. This therefore means that you get to have a taste of all macronutrients, provided it is one in the right amounts and portions. This leaves you energetic, athletic and ready to take on your day! Reduced Feeding-related Stress. For most people on calorie-limiting diets, social situations can tend to be very stressful. Imagine being in a party that has only beer and junk, what do you do? 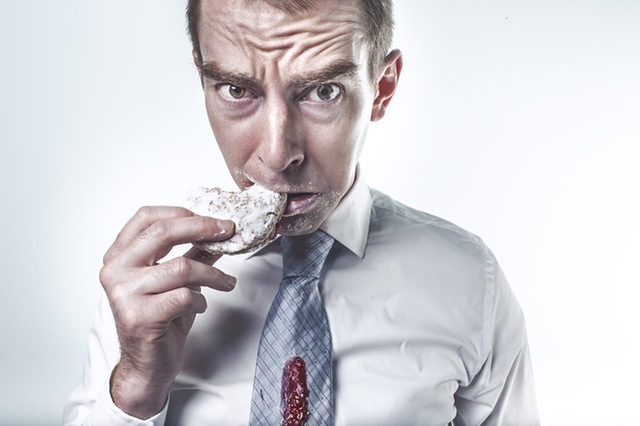 Indulging will just leave you feeling guilty and you’ll end up punishing yourself. Flexible dieting allows you to still enjoy but with moderation. Therefore, you can avoid certain foods all day in anticipation of the event and indulge guilt free! Why it’s Important to be Flexible with Food Choices. IIFYM is the perfect balance of flexibility and moderation. This is undoubtedly why this dietary approach is being adopted by multitudes every day. Flexibility comes in that you do not have to stick only to certain foods and you can have any meal you want within your required limits. Flexibility with food choices allows you to gain as much nutrients as possible, diet while still maintaining your favourite foods and overall your lifestyle habits and best of all, you get to be happy as you lose weight! However, you still have to remember to balance out your meals, making foods like whole foods the backbone of your diet for health reasons. This is because such foods contain fiber which is of tremendous importance in the digestion process, making it faster and smoother. Also, fiber helps you to avoid conditions like constipation. All in all, the perfect dieting solution is finally here! You can now have your cake and eat it!